As missionaries serving in Quebec with World Partners from Evangelical Missionary Church of Canada and in partnership with Canadian Revival Fellowship. They have been involved in several French mission projects in Haiti and Niger, Africa speaking on Reconciliation and disciple making. Conference at Briercrest Bible College in 1991 where they chose the symbolic task of carrying Canada’s flag during the closing mission parade. After their biblical studies in Briercrest Bible College, Saskatchewan (1988-91), they took a MA in Family counselling and went back to Quebec to prepare their future ministry. coach, recreation director and sports consultant for the government of Quebec; owned a sports business with Lorraine; pastored, taught and counseled, as well as was the principal of a Christian high school in Quebec City; church planter, disciple maker in Montreal and conference speaker on the message of Reconciliation. Lorraine was a home maker, committed full time mother and partner in ministry, teacher, had been successfully involved making reproducing disciples teaching, counseling and conference speaker for women. From October 2001 the Gingras have been promoting a ministry of reconciliation with the French, the English and the First Nations, and now immigrants. This ministry is called Heart Cry for Quebec. Through the ministry of reconciliation and prayer mobilization was put together a network across Canada. Donald has also published a book in 2008, a 400 years survey of Canadian history: “French, Native and English have been taught and coached by their political and religious leaders to fight with against other for the land, business, religion and language. As a result, Canadians have been robbed from knowing and experiencing the Gospel of Reconciliation and from realizing how people need the Lord in their living and relationships. 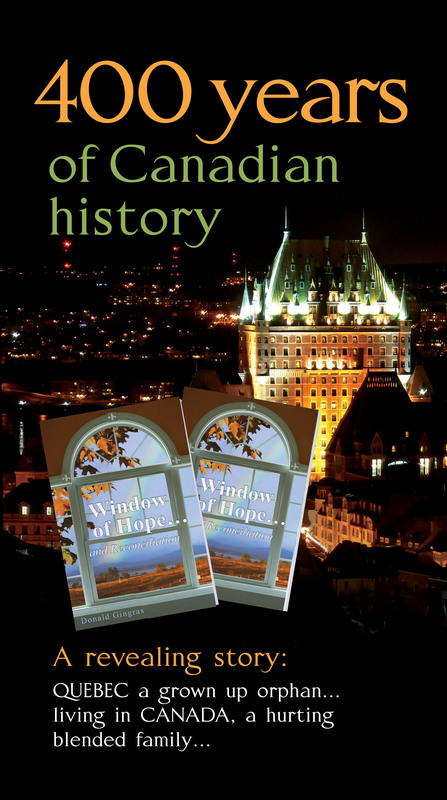 In his book, Donald describes Quebec as a grown up orphan living in Canada, which he characterizes as a hurting blended family.” When Donald speaks on Reconciliation, he challenges the Church to “live” a lifestyle of Christian values to impart to Canadians a new understanding of Christianity– different than the one that has been demonstrated through Canadian history — in order to impact Canadians with the Gospel of Reconciliation. A CROSS ROAD AND NEW SEASON IN THEIR LIFE: From 1991, Donald and Lorraine’s main ministry has been to play a support role to local churches in Quebec through disciple making disciples by caring and investing in people’s lives from different windows of training. 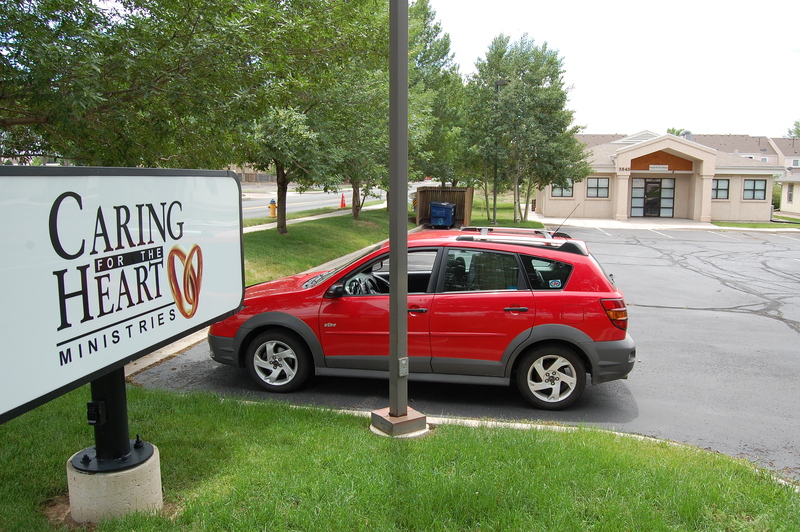 Since September 2011, God led them to take a training in marriage counselling and enrichment with Caring for the Heart ministry, in Colorado Springs. Quebec lost about 50% of his evangelical pastors in the last 15 years. Donald had a burden to provide pastoral care for Church leaders. In the first two weeks they came back after their training, God confirmed the direction and led eleven pastors to call Donald to take one week of counselling. Ever since, their home has been transformed into a caring center equipped to host pastoral and ministry leader couples for “five days at the time” retreat, for training people into emotional, relational and spiritual maturity. Donald is still involved by speaking on the ministry of Reconciliation in Churches events and Evangelistic meetings, helping Churches in resolving conflict, Donald and Lorraine are giving conferences and teaching about the family as the main biblical unit God has designed to make disciples to impact this world and to advance His Kingdom.